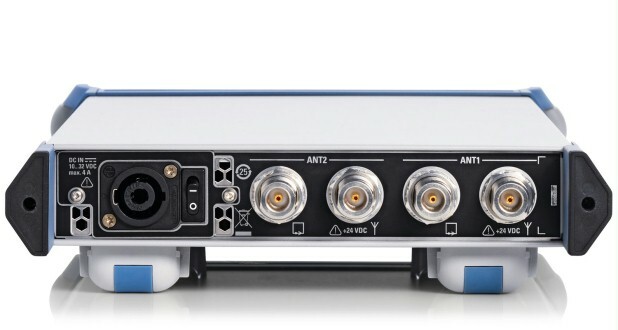 The R&S®IN600 Bias Unit is used to supply power to active receiving antennas that are powered via the coaxial cable of their RF output. The antenna supply voltage is fed to the inner conductor of the coax cable by means of a broadband Bias Tee. 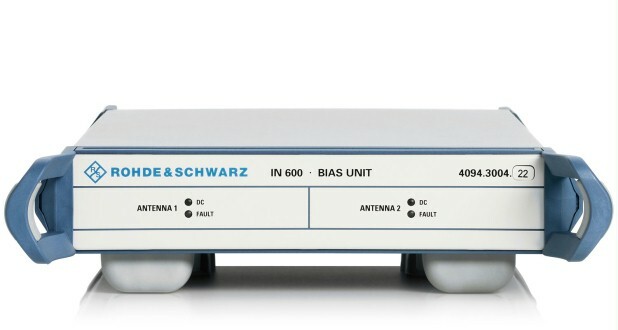 This Bias Tee ensures minimum insertion loss and best attenuation of noise as well as unwanted signals to the receiver input. In total four different models of R&S®IN600 are available in order to address all possible applications. They are differentiated by their number of possible antenna connections and their supply voltage specification. AC models are targeted at stationary use where mains supply is available. DC models can be supplied by a DC battery, which allows also vehicular use. 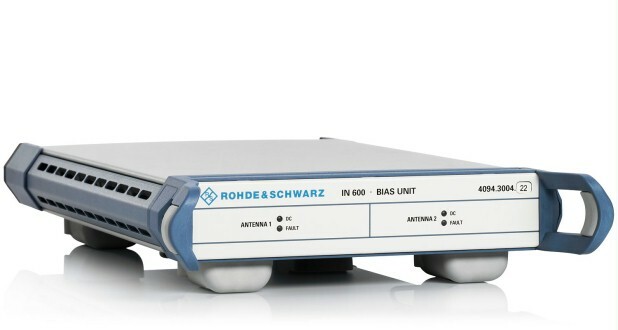 The typical application for a model with two Bias Tees is either the R&S®HE016 Active Antenna System or any other system where more than one active antenna from the Rohde & Schwarz portfolio is involved.